Diabetes mellitus is a chronic condition characterized by high levels of sugar in the blood. The two types of diabetes are type 1 and type 2. Symptoms of diabetes include increased urine output, thirst, hunger, and fatigue. Treatment of diabetes depends on the type. 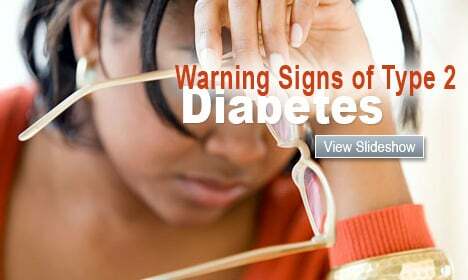 Watch this slideshow to understand type 2 diabetes and learn the warning signs. 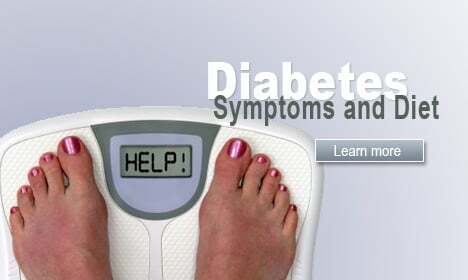 You'll see a pictorial overview of the symptoms, diagnosis, and treatment of type 2 diabetes. Learn about hypoglycemia, which is caused by low blood sugar. The symptoms of hypoglycemia may include anxiety, sweating, tremor, palpitations, nausea, and weakness. Consuming lifesavers, table sugar, soda, and juice are good treatment options. For people with diabetes, too much glucose in the blood can cause serious foot complications such as nerve damage, infection, ulcers and even amputation. Watch this slideshow on diabetes related foot problems and help prevent serious complications. Watch this slideshow of pictures of celebrities with type 1 or type 2 diabetes including Halle Berry, Salma Hayek, and Nick Jonas from The Jonas Brothers. Avandia - Is It a Heart Risk? What Are the Best Shoes for Diabetic Neuropathy in Feet? Can a Diabetic Get a Deep Tissue Massage? Can Artificial Sweeteners Raise Blood Sugar? Can Chemotherapy Cause Diabetic Neuropathy? Can Diabetes Cause Muscle Pain? Can You Get Diabetes from Stress? Can You Have Type 1 Diabetes Without Symptoms? Is It Safe to Use Expired Medication? What Are Risk Factors for Diabetic Kidney Disease? 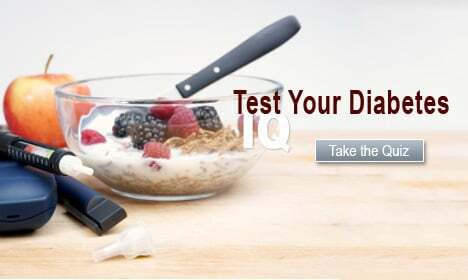 Diabetics: Is the New Inhaled Insulin Right for You? What Are the Side Effects of Glucophage in People with PCOS? How Bad Is Type 1 Diabetes? How Does an Insulin Pump Attach to the Body? How Is Hemoglobin A1c (HbA1c) Measured? What Will Happen if Type 1 Diabetes Is Left Untreated? What Causes Type 1 Diabetes in Adults? What Does It Feel Like When Your Blood Sugar Is too High? What Is an Insulin Pump and How Is It Used? What Is Hemoglobin A1c (HbA1c)? What Is a Safe Hemorrhoid Treatment for Diabetics? What Is the Treatment for Diabetic Neuropathy? What Kind of Cold Medicine Can Diabetics Take? Why Is Hemoglobin A1c (HbA1c) Measured? Diabetes - What Should My Blood Sugar Levels Be? Glucose Meters: What's on the Horizon? Islet Cell Transplant: Still Promising? Low Vision, What Does It Mean?